The Obama regime's spy boss, the notorious Admiral Blair, has given us some clues about which countries may be dismembered by the USA in the coming months and years. 1. On 12 February 2009, Admiral Blair told Congress that bin Laden could relocate. "For example, he said, al-Qaeda elements in Yemen now pose a new threat to Saudi Arabia, whose own efforts have been successful in killing or capturing most al-Qaeda senior leaders in that country." 2. "In February of 1975 the London Sunday Times revealed information from a leaked and classified US Department of Defense plan. 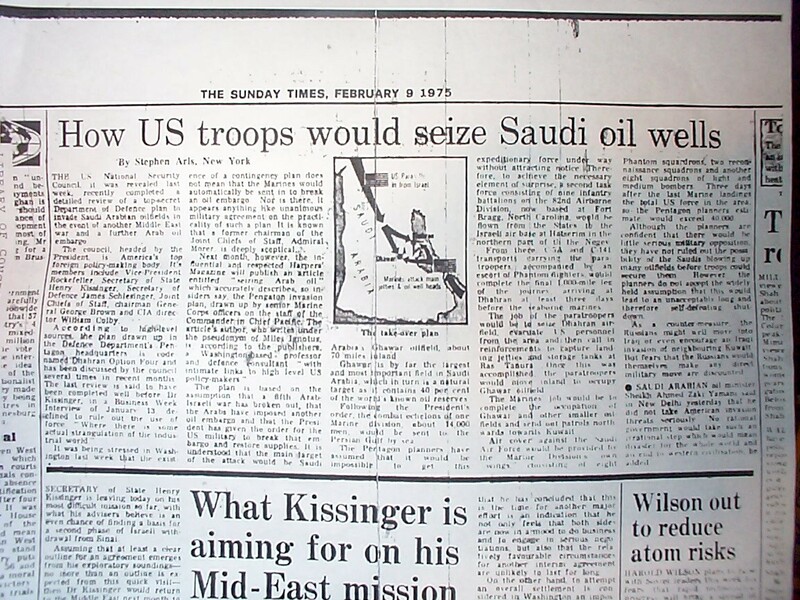 "The plan, drawn up by the Pentagon, was code named 'Dhahran Option Four' and provided for an invasion of the world's largest oil reserves, namely Saudi Arabia." - (Who Really Wants to Invade Saudi Arabia, and Why?) - Who can Saudi Arabia trust? USA versus Russia in Yemen? Slow down, not recession, for oil-rich gulf.